Grand Canyon Needs Your Help NOW!! Grand Canyon needs your help right now. Today. A proposal involving major commercial development at the confluence of the Colorado River and the Little Colorado River went before the Navajo Nation Council on Monday. You might have heard guides talking about this proposal as you passed the confluence on your river trip, or you might have seen information about the drive to Save The Confluence. A wealthy development company, Confluence Partners (aka Fulcrum Group) has been lobbying the Navajo council to build a luxury resort/tram for tourists. The project would include major development at the rim of the canyon and a gondola ride that would carry up to 10,000 people a day down to the confluence. An amphitheater and restaurant would be built near river level. 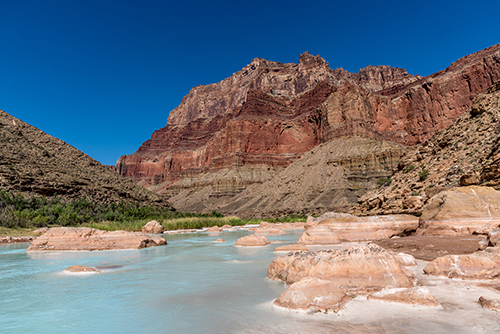 If you’ve been on a Grand Canyon river trip — if you’ve seen this incredible place, or even if you’ve only seen pictures of it — you can imagine what an assault on the canyon this kind of project would be. So now is your chance. There are 4 days for input before the Navajo council will vote for or against this proposal on Friday (Sept. 2, 2016). Act now. Please go to http://savetheconfluence.com/news/contact-delegates/ to comment and to sign the petition against the Grand Canyon Escalade before THIS FRIDAY.